We’ve grown loads of different varieties of organic beetroot over the years from the gorgeous white and pink stripes of Tondo di Chioggia to the deep blood-red of Bolivar. 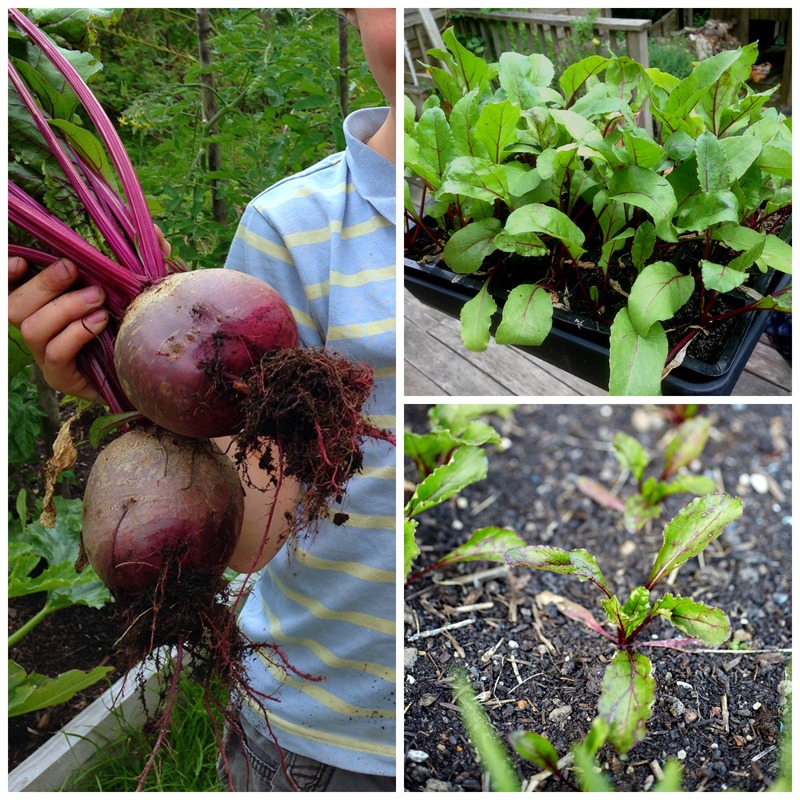 Boltardy is definitely worth a try (an early beetroot for planting in late-winter and harvesting in early-summer). They’re all very easy to grow and are a regular ingredient in our kitchen. Planting: We sow our first Boltardy beetroots indoors from late-winter and continue sowing other varieties right through until mid-summer. This gives us a constant supply of fresh beets and some to store overwinter. We sow into modules which gives the seedlings a bit of a head start before planting out on the allotment and they love a rich, light soil without manure. You can also sow directly into the growing site 2.5cm deep in rows 30cm apart, from mid-spring to early-summer. Thin seedlings to 7-10cm apart. Growing: Weed regularly. Gently hoe around the seedlings until their leaves are big enough to shade out the weeds. Keep moist. 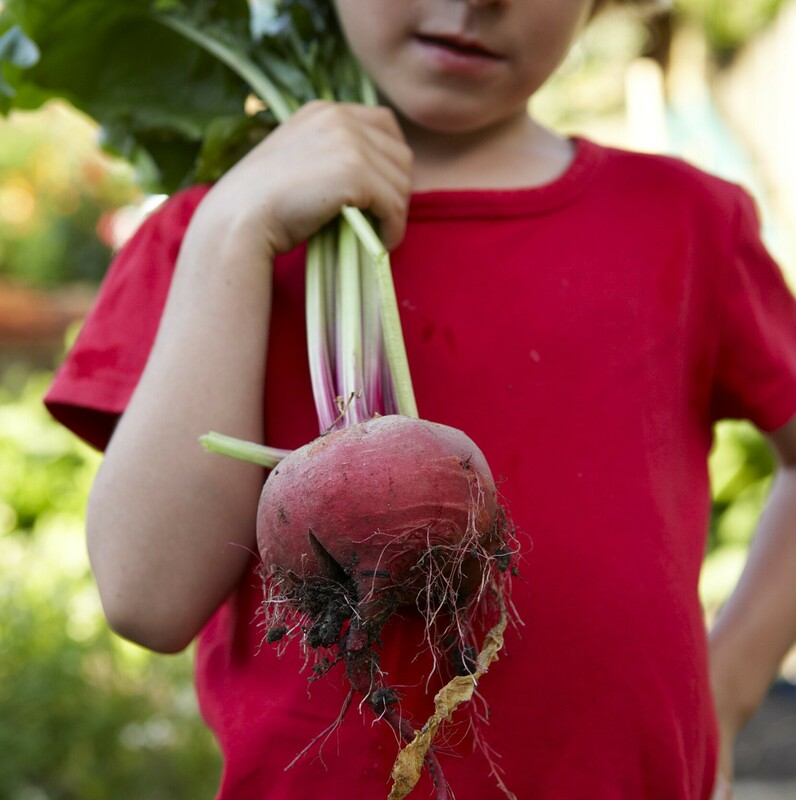 Harvesting: You can start pulling up your beetroots around 8 weeks after planting or leave them until fully grown. Harvest before the first frosts. Twist off the leaves at least 2.5cm up the stalk to prevent ‘bleeding’ and store covered in sand in a frost-free place. You can also store by pickling and fermenting small beetroots. The leaves are edible, really tasty (a little like chard) and can be used in juicing and cooking. Young leaves are delicious eaten raw in salads. All work is carried out on a ‘root’ day. Sow your seeds on a waning moon ie: sometime between full and new moon. Harvest on a descending moon before the first frosts for good storage. Natural remedies: A comfrey mulch can help keep weeds at bay and the soil moist. Health Benefits: Known to lower blood pressure, support heart health and massively detoxifying, beetroot is also rich in fibre, Vitamins B, C and iron. Their skin is rich in phytonutrients, so avoid peeling your beetroots and eat raw for most nutritional benefit. Harvest Early-summer to first frosts. Twist off leaves & store in sand boxes. Leaves are edible. 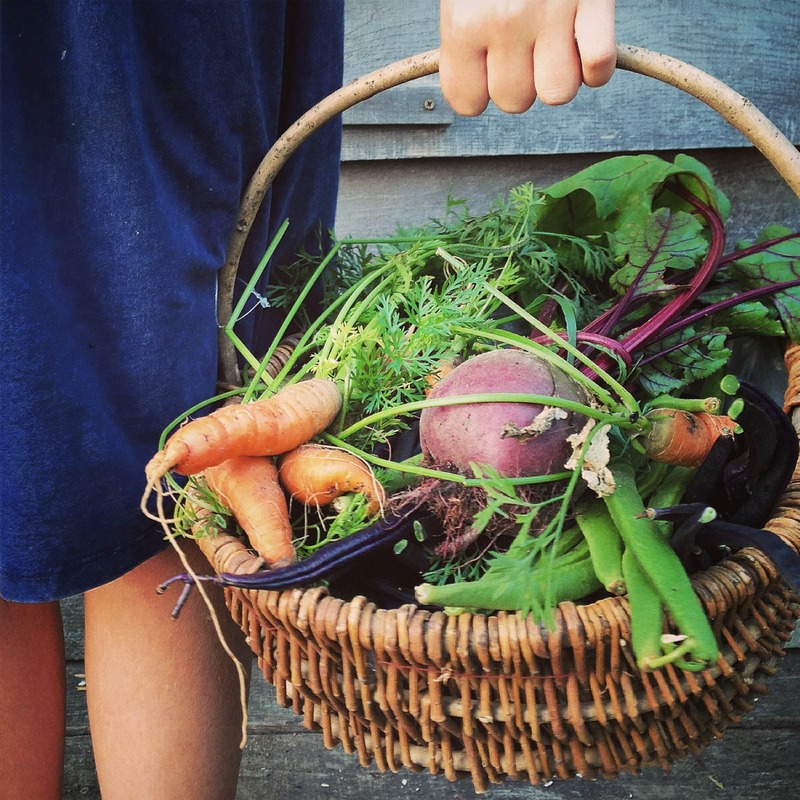 Biodynamic tips Sow on a root day on a waning moon. Plant & harvest on a descending moon. C is for……. Celery, carrot, cabbage, cauliflower, celeriac, cucumber, courgette, chilli or chard? What will it be. How exciting. Love your posts. I love it! So many of my friends hate beets (as we call them here in the US). And I must admit that I had not been too impressed by the few Borscht soups I’d had in restaurants over the years. But I LOVE beets now! Mostly I love to grow them because they are, as you say, so beautiful and easy and you can eat every part of them. But also, I discovered roasted beets with feta and the best thing ever: Beet Pesto!! And last year for the first time I pickled them and they are amazing. The dilly beans just sit in the jar while we snarf down the beets! After they’re done, you can put hard boiled eggs in the “juice” and dye them pink! Whens the book coming out – A-Z -its GREAT plus a few more recipes – i would publish you Loving all the biodynamic stuff too – really interesting – Whats C going to be!!! You’re very welcome Mickey! Glad you liked my beetroot post and hope the ‘a’ for apple pudding goes down well at your dinner party this weekend.